Rediff.com » Movies » Meet the Diwali patakas! 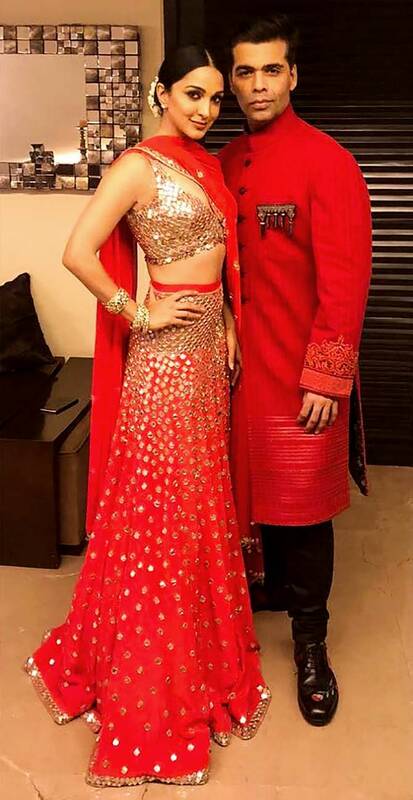 Namrata Thakker takes a look at who wore it best at the Diwali parties! Bollywood chose the best reds, greens and blues to go with their saris, dresses and lehengas. And most of them nailed the fashion formula right at the Diwali parties. Here's a look at the best dressed ladies at last week's glittery parties. Shraddha Kapoor is a vision in black at Shah Rukh Khan's party. Mirror mirror on the wall, is Alia Bhatt the prettiest of them all? Hell, yeah! We love this black outfit by Shyamal and Bhumika on Ms Bhatt. Karan Johar's newest Student Ananya Pandey looks like a goddess in her colourful Abu Jani-Sandeep Khosla lehenga and gold choli. Golden girl Pooja Hegde puts on a Ritika Mirchandani outfit for Diwali. 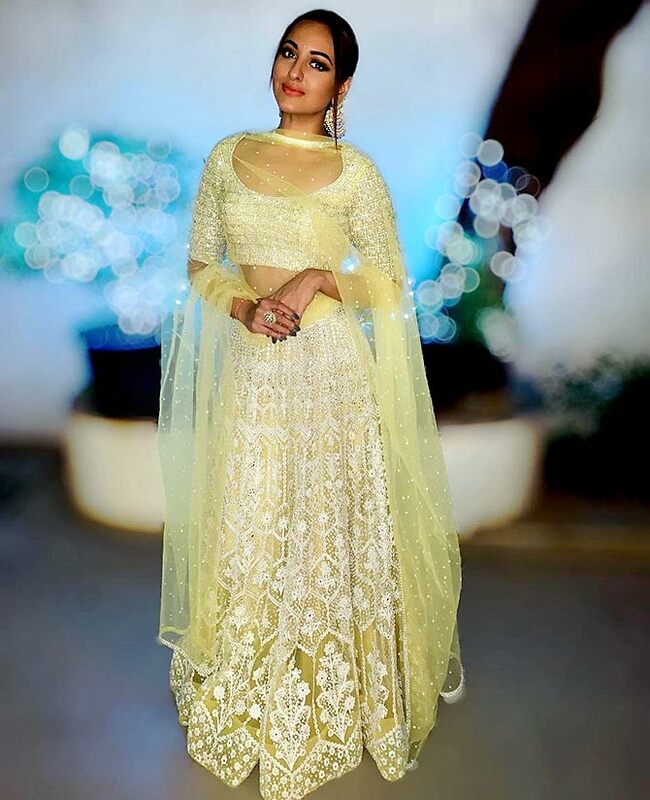 Swara Bhaskar looks stunning in yet another Abu Jani-Sandeep Khosla creation. Sonakshi Sinha is flawless in a green custom-made Falguni and Shane lehenga choli at Arpita Khan Sharma's Diwali party. Minimal jewellery and subtle make-up works in her favour too. 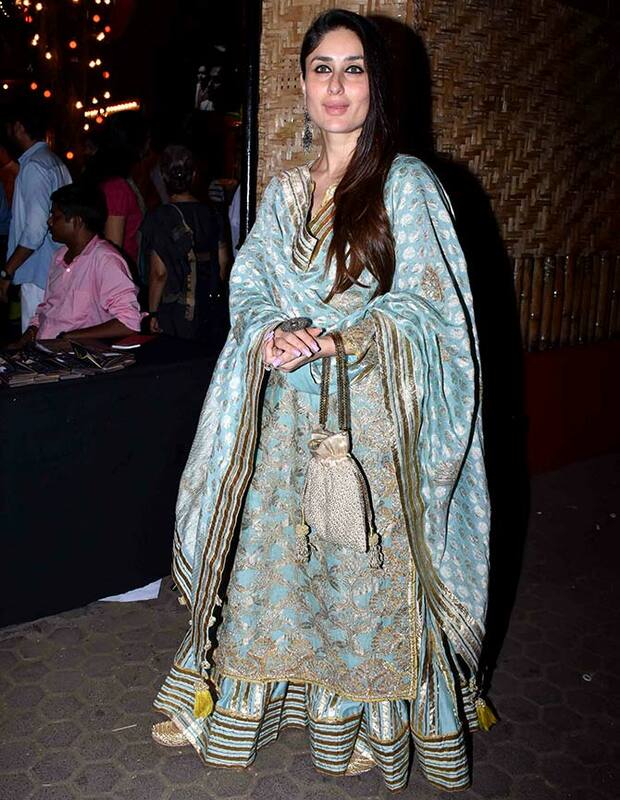 Kareena Kapoor Khan slays it in a teal kurta and sharara by Simar Dugal at Mallika Bhatt's Diwali party. 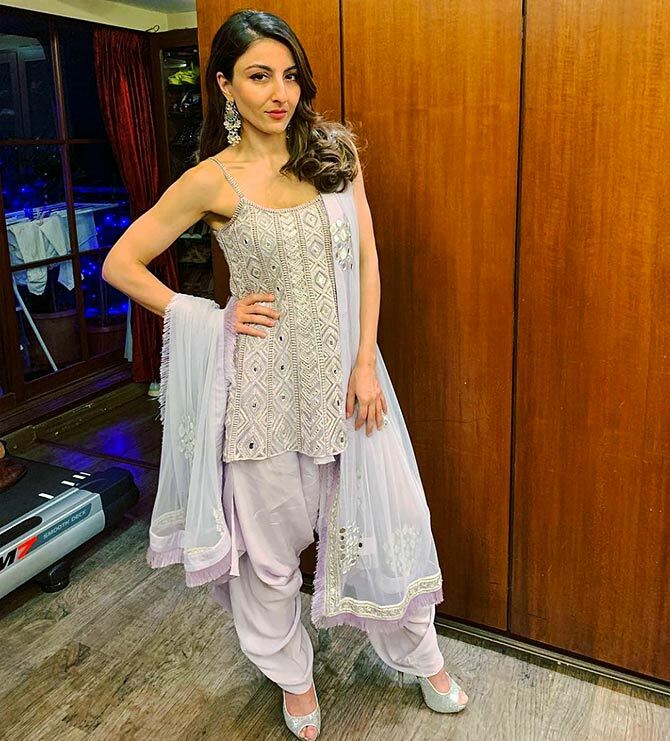 Soha Ali Khan shows us how keeping it simple never goes out of fashion. She's wearing a beautiful Patiala style dress by Ritika Mirchandani. Sara Ali Khan looks divalicious in Abu Jani-Sandeep Khosla couture. Karisma Kapoor in a Manisha Malhotra creation is always a treat for the eyes. This Diwali was no exception when she stepped out in a soft blue Manish Malhotra sari with ivory thread artwork and pearl embroidery. Another Kapoor fashionista in the making. 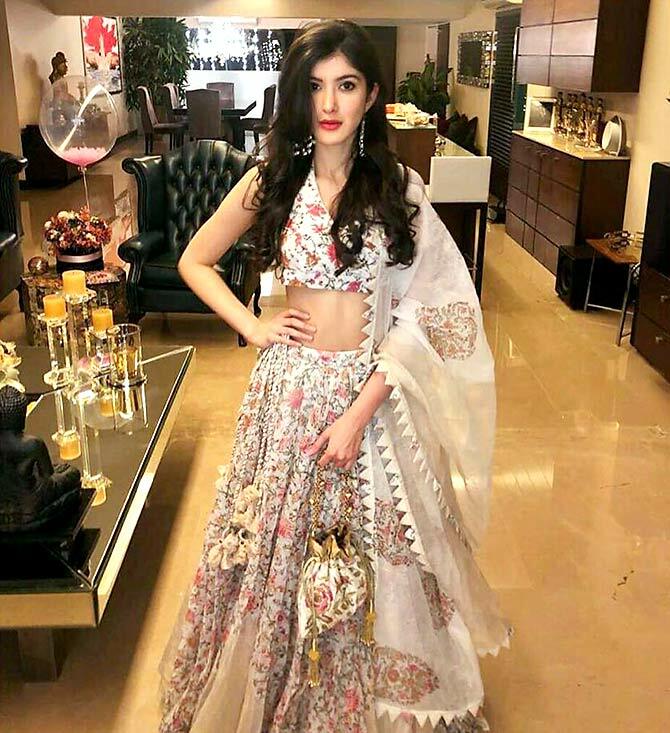 Giving us floral vibes this Diwali is Shanaya Kapoor in a Punit Balan creation. Shilpa Shetty Kundra redefines Indian wear in an Amit Agarwal outfit at her Diwali party. Lady in red Kriti Sanon looks radiant at Ekta Kapoor's party. 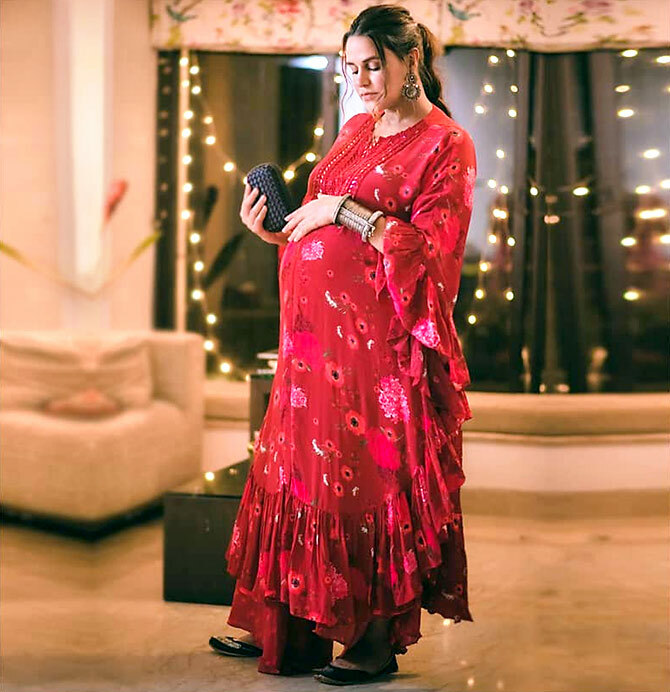 Gorgeous mommy-to-be Neha Dhupia fills out her brick red cape and kite pants. Kiara Advani makes sure to colour coordinate with her Lust Stories Director Karan Johar, and dazzles. Student Of The Year 2 Tara Sutaria looks pretty in a mirror embroidered grey anarkali by Arpita Mehta. What was Anu Malik doing in London?